How to make an effective Presentation (Video clip, pre-meeting )New!! Participating Counties: Taiwan, Cambodia, Philippines, Malaysia, China,Taiwan, Korea, Indonesia, China. 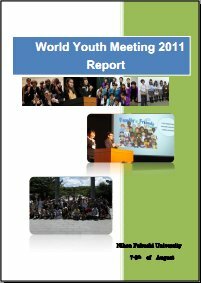 Youtube:Video showing amazing success on WYM2011! Strengthening Connections into the Future.